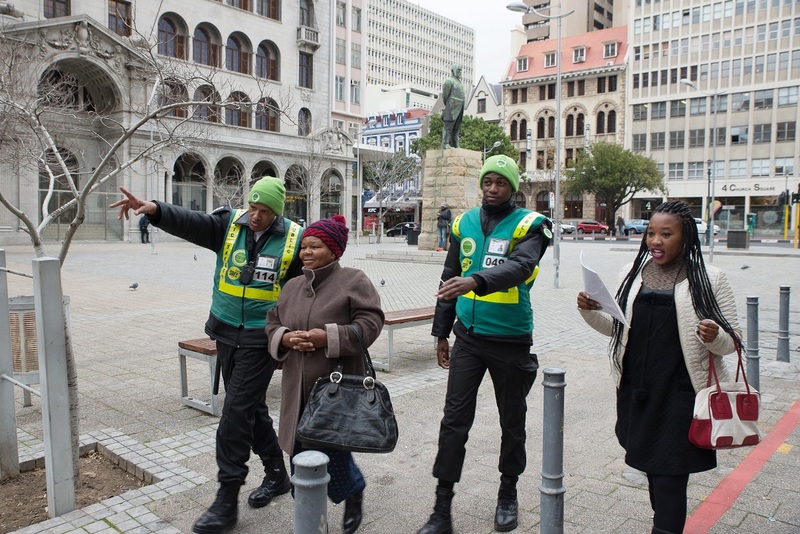 The Cape Town Central City Improvement District’s (CCID) plans to ensure that both local and visiting holidaymakers stay safe in the CBD are still in effect as well as the organisation’s 2018-19 crime prevention and public awareness “Stash it, don’t flash it” campaign. In December 2018, the CCID’s Safety & Security department announced that it was intensifying its Safety & Security measures for the festive season and also launched its 2018-19 crime prevention and public awareness “Stash it, don’t flash it” campaign. One of the elements of the campaign includes a display of street pole posters reminding people to be aware of the three contact crimes. Another element is the production of flyers containing top personal safety tips as well as brochures with more detailed information, both of which were distributed for two weeks during December by CCID-branded teams in areas that are prone to theft out of vehicles, pickpocketing and ATM fraud. A newly introduced element of the campaign is the “Find Me” concept – an initiative aimed at encouraging members of the public to familiarise themselves with the CCID public safety officers (PSOs), who work around the clock throughout the CCID footprint. Throughout the year, the CCID’s Safety & Security department deploys a team of 20 City Law Enforcement Officers (LEOs) to assist it in providing powers of arrest. It also deploys six traffic wardens to assist with traffic violations and traffic congestion during the daytime. The CCID also has a partnership with the Western Cape Government’s Department of Community Safety which sees a team of student ambassadors from the Chrysalis Academy deployed during the day in The Company’s Garden to play an ambassadorial role and provide a safety presence within this iconic space. In addition, another team of Chrysalis student ambassadors will continue to be deployed until March 2019 at certain hot-spot ATMs throughout the CCID footprint to raise public awareness about ATM fraud.